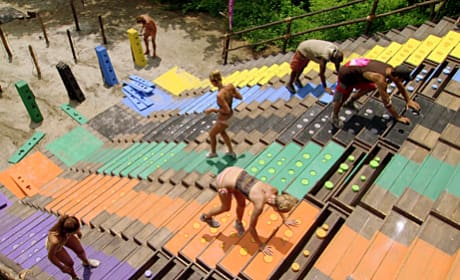 Climbing stairs and solving a puzzle played a pivotal role in this immunity challenge. The challenge proved by very physically difficult for the depleted survivors. The Murlonio tribe waits out the rain in their crowded shelter. Fortunately for the tribe, the shelter kept them dry. 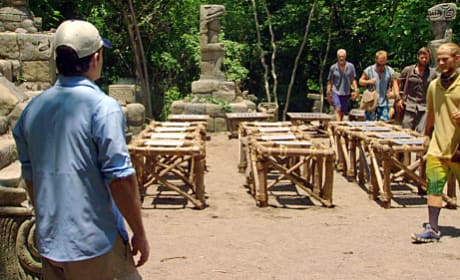 With four people at Redemption Island, Matt, Steve Mike and Ralph competed to stay in the game. The winner got to continue on for the right to get reinserted back in to the game. The remaining Murlonio tribe gathered around to read tree mail. The tribe was excited to hear from loved ones. Grant Mattos and Phillip Sheppard ready themselves before the immunity challenge. 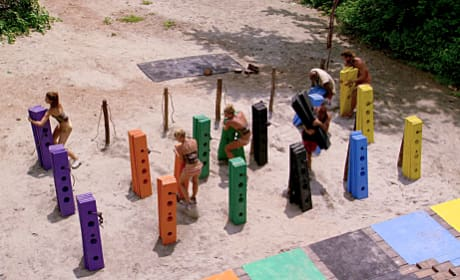 The immunity challenge proved very difficult for the depleted survivors. 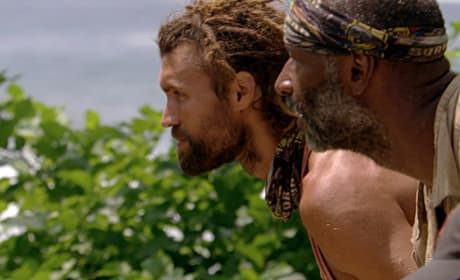 Knowing they'd have to vote out one of their own, the remaining Murlonio tribe members competed in a grueling immunity challenge. 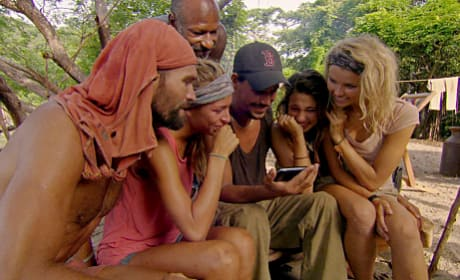 Boston Rob watches a special message from his loved ones with his remaining Murlonio tribemates. 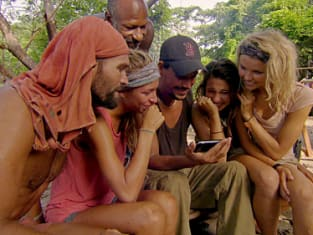 All of the tribe got to see a quick message before heading to a reward challenge.